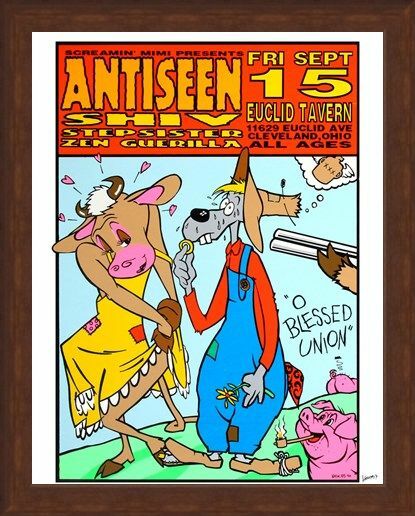 Limited Edition Art Print: If you are a fan of Frank Kozik's amazing art work then this eye popping limited edition art print will make a valued addition to your collection. 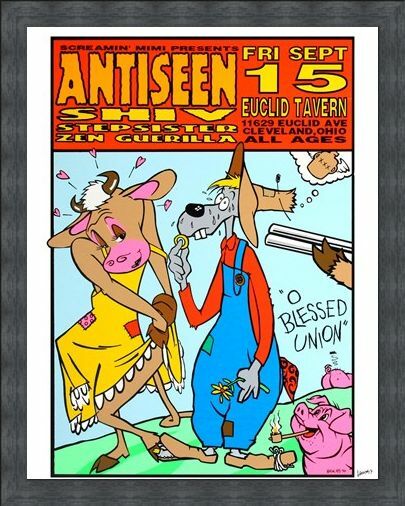 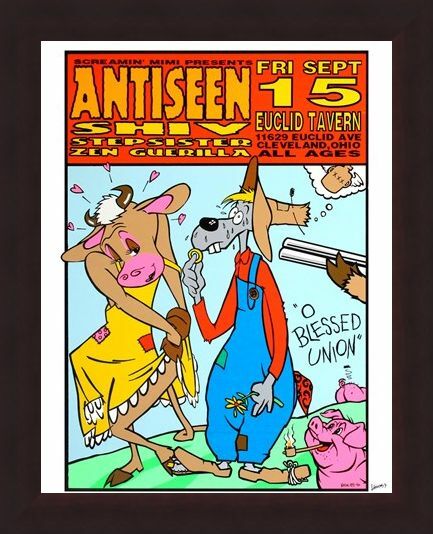 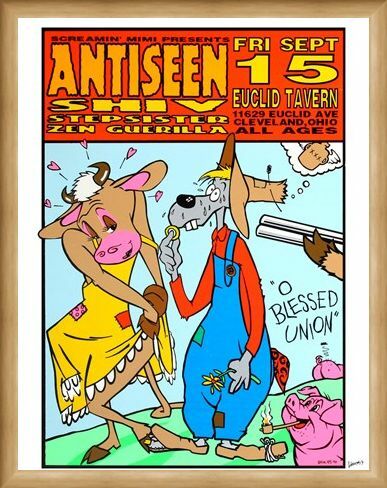 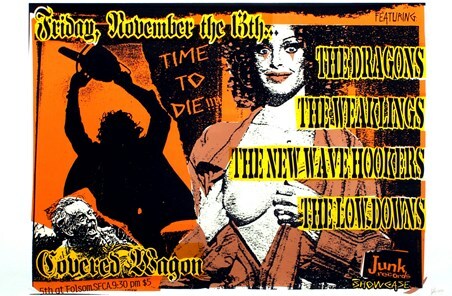 Hand signed and numbered, this print features the promotional art for a music gig held at Cleveland's 'Euclid Tavern' which features the underground talents of Zen Guerrilla, Stepsister and Antiseen. 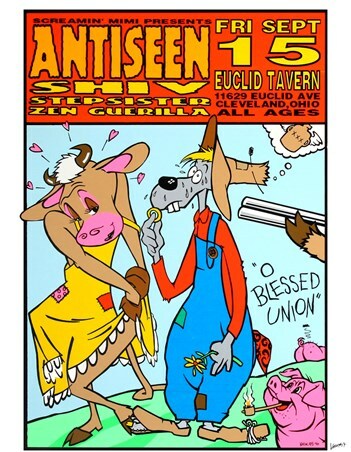 This fluorescent styled print shows a twisted scene of a nervous wolf about to propose to a smitten cow as they stand in a field of pipe smoking pigs. Produced in the typical style of Kozik, this bold and bright promotional print is sure to catch the eye of lovers of music and eccentric art alike. 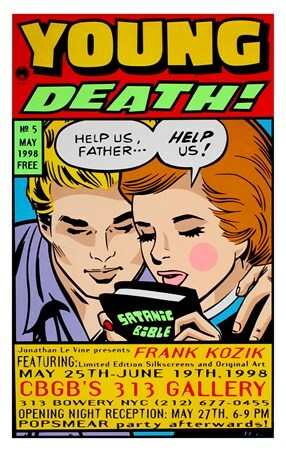 High quality, framed Screamin' Mimi Presents, Frank Kozik limited edition print with a bespoke frame by our custom framing service.